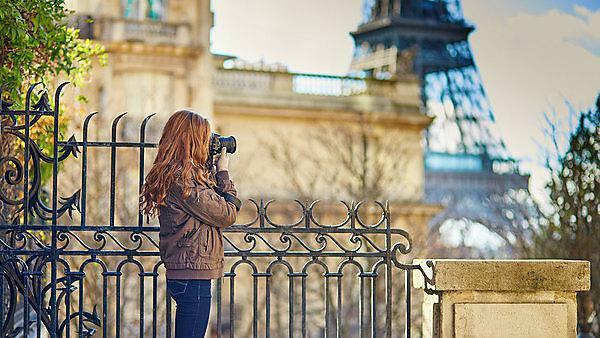 As a BA (Hons) Photography student, you will have the opportunity to broaden your knowledge and experience with options to travel and study abroad. We offer yearly funded residential field trips and our second year students have the chance to study abroad as part of the Erasmus exchange programme. In Year 1, you will have the opportunity to take part in a five to six day funded, residential field trip to Europe. You'll have the chance to travel to European cities and experience their rich cultural heritage with visits to museums and galleries, festivals and exhibitions. Enrich your knowledge of photography and see photographic practice in all its forms, contemporary and historical. These trips also allow provide an ideal opportunity to get to know your lecturers and course-mates in a different context, while you learn about another culture. Paris - to visit Paris Photo and the biennial Mois de la Photo (month of photography). Amsterdam, Rotterdam and The Hague - a combined city trip to visit galleries and museums such as: Huis Marseille; Foam; Netherlands Photo Institute. Bratislava - a visit to the Central European capital of Slovakia for its Festival of Photography. In your second year, you will have the opportunity to study abroad. The Erasmus exchange programme offers students the chance to study in Europe for a minimum of ten weeks in countries like Romania, Slovakia and France. There may also be opportunities to study further afield, for example, in the USA or New Zealand. You can be based in the institutions for either all or part of the time or you can be free to travel, and negotiate your own programme of study. One student spent three months travelling across Europe studying the urban/suburban hinterland, and another travelled in Vietnam and Cambodia studying female Thai boxers. Graduate David Hedges visited Romania as part of the Erasmus programme in his second year at Plymouth.